Stop here if you've ever wanted to improve daily life in your family! 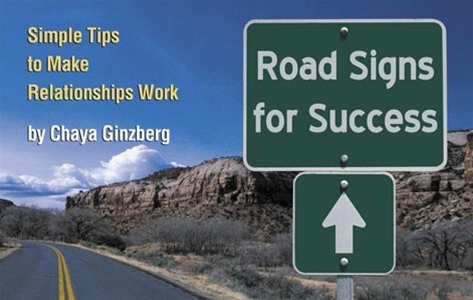 Using a straightforward, upbeat "Driver's Manual" format, Chaya Ginsburg counsels you on relationships in marriage, with your siblings, your parents and children. Her premise is that interpersonal situations should trigger "driver's" responses. Just as you anticipate possible danger as you drive toward an intersection and take necessary precautions, you can train your mind to read the signals in family situations. After reading this manual, "Caution!" "Yield!" and "No-U turn," will take on new meaning and form indelible images in your mind. A fabulous gift for engaged or newly married couples - not to mention old-timers in the happiest marriage - it will bring new life to all sorts of relationships.